Kochi: The Managing Director of the Kochi Metro Rail Limited (KMRL) is in talks with senior officials of Indian Oil Corporation about the 5 meter setback raised by the IOC officials. While the work of the Kochi subway on the route depends on the oil company’s safety notices, Kochi subway officials said that the alignment had been drawn up with the 3 meter reverse according to the guidelines of the oil company. 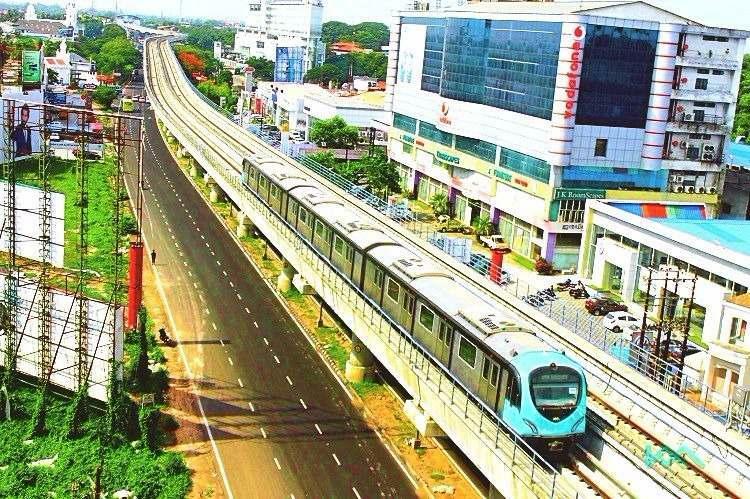 According to the rules, the 3-meter reverse was good, said Subramanian Iyer, Joint General Manager, Civil, Kochi Metro, who spoke about the status of the work of the Kochi Metro towards Thripunithura at a seminar organized by Thripunithura Mekhala of Ernakulam on Sunday. Apex Council of Resident Associations of the District. Kochi Metro did a quick survey for a 5 meter throwback as well. It would have a larger social impact with more area under land acquisition. According to the norms of the Law of Acquisition, Rehabilitation and Land Resettlement, the project could be delayed even more. From now on, the works will be completed in 2020, despite the various existing delays, including the acquisition of land on the Vyttila-Petta and Pettah-Thripunithura sections. Speaking about the integrated public transportation system that the government plans to carry out, G.P. Hari, Additional General Manager of Urban Transportation, explained how integration at an institutional, physical level and information technology level could make public transportation accessible and affordable for commoners. He said that the Kochi subway had started a study in Bus Rapid Corridor with the prototype of an electric bus that has a low floor and three entry and exit doors. It is a concept that is approaching for the first time in the country where a dedicated corridor for the bus could be built. The bus would take 95 people at a time. At any time when the city develops, this corridor can be converted into Light Transport.